One of the hardest things about starting your life in Japan is…getting a cell phone! This isn’t just because you need a phone to keep in touch with friends or family, but because a cell phone is an essential part of apartment hunting and applying for an apartment in Japan. In order to arrange a room view and to stay updated on the status of your rental application, your real estate agent will need to be able to reach you by mobile phone. You also need a local phone number to put down on your rental application. Unfortunately, if you have just landed in Japan, it’s not as simple as walking into a shop and buying a phone. This is because network carriers require you to have a residence card in order to sign up for a service contract, not to mention Japanese language skills in order to make it through the actual application and a local bank account or credit card to pay. In order to get a residence card (by going to your local city or ward office), you need to have a home address in Japan. 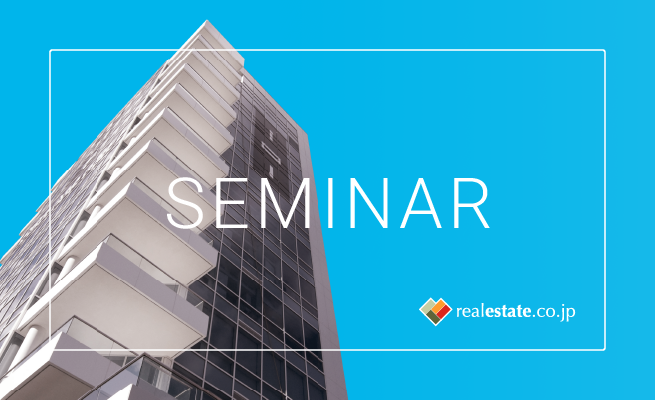 Of course, in order to have an address, you first need to find, apply for, and sign a lease for an apartment. And to do that you need to have a cell phone with a local number, which brings us back to how you can’t get a cell phone service contract without a residence card! So how exactly do you get around this little Catch-22? Fortunately, there is a convenient and inexpensive solution to the new-to-Japan-and-can’t-get-a-cell-phone dilemma. All you need is an unlocked (SIM-free, WCDMA compatible) phone and a JP Smart SIM card. 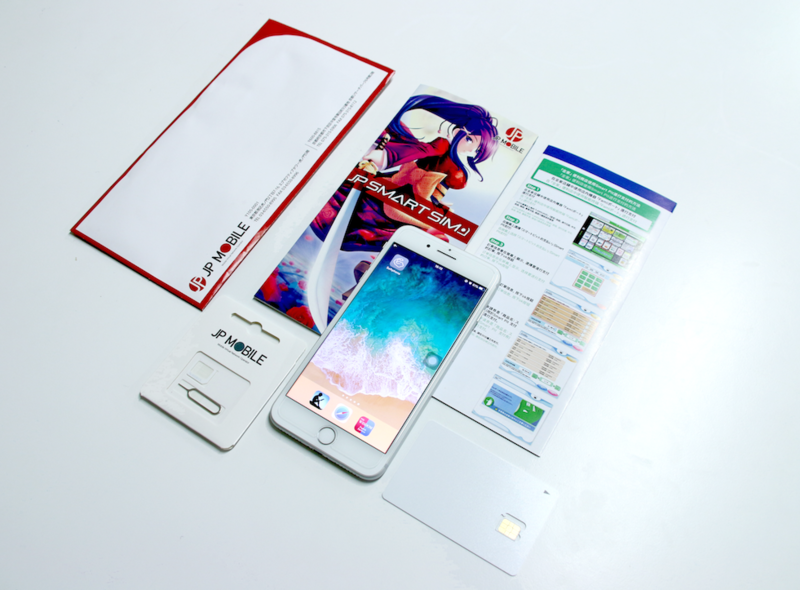 JP Smart SIM start-up kit. Please note you must provide your own smart phone. The JP Smart SIM gives you access to the Docomo network (one of the big three mobile networks in Japan) via JP Mobile, a mobile virtual network operator, without the hassle of buying a new cell phone and applying for a service contract. Docomo has nationwide coverage. The JP Smart SIM gives you a maximum download speeds of 375 Mpbs, in various packages combining voice and data. This service allows you to to use your cell phone in Japan, so you don’t have to start from zero. In 2016, about 170,000 foreigners used a JP Smart SIM card in Japan, so you would be joining a large number of satisfied customers. We have already mentioned the not easily surmountable problem of trying to get a cell phone without a local address, while simultaneously trying to apply for an apartment, which requires a cell phone as part of the application process. This is the main reason why we think the JP Smart SIM is a great option for people just starting out in Japan. Even if you’ve been in Japan for a while, the JP Smart SIM may be a great choice because it gives you a lot of flexibility at competitive prices. There are a variety of price plans to choose from with different data limits, but for example, you can get Voice (a 050 phone number) + 3GB of Data + SMS Basic for ¥2,432 per month, which is very competitive compared with the major carriers. Please visit their website for the various price plans. 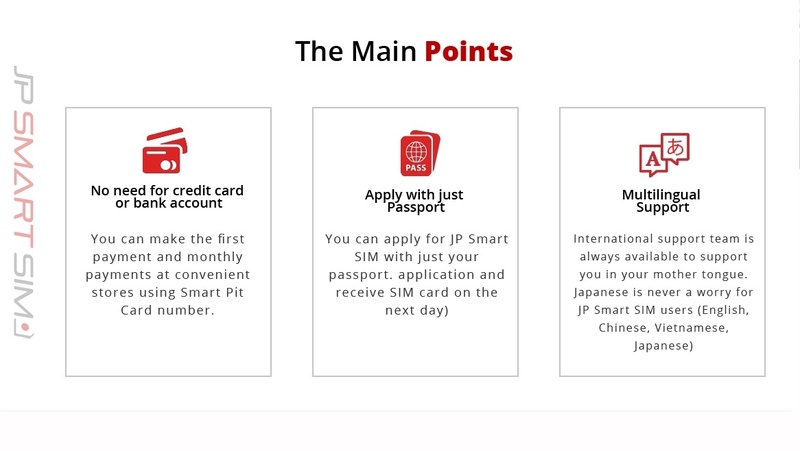 To get a JP Smart SIM, all you need is your passport. 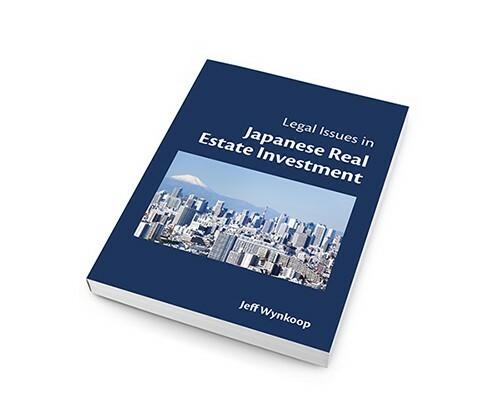 You do not need to have a Japanese residence card or even a permanent address. The online application takes about a minute to fill out and the SIM card can be shipped anywhere in Japan. This means you can have it delivered to the lobby of your hotel or to a friend’s place for you to pick up. You do not need to sign a service contract to use the JP Smart SIM. This makes it a great choice for students and people staying for less than two years in Japan because standard carrier contracts are usually for two-year terms. You also do not have to pay a termination fee to stop using the JP Smart Sim. This is a big advantage over getting a long-term contract because it is almost impossible to terminate a standard cell phone contract without paying at least ¥10,000 in cancelation penalties and oftentimes much more. You do need to remember to send a cancellation request one month before you want to stop service. You also will not be able to keep your cell phone number when you cancel service, because the number does not have Mobile Number Portability (MNP). You can pay for the JP Smart SIM with a credit card or pay card (WeChat Pay, AliPay, UnionPay), but you don’t have to! If you are already in Japan, you can pay in cash at a convenience store (Lawson, MiniStop, Family Mart, Circle K, and Sunkus) using the Smart Pit Number that will be assigned to you during the application process. You’ll also be sent a Smart Pit Card to use for future cash payments at the conbini. You will receive the start-up kit (containing the SIM card, instructions, and a Smart Pit card for cash payment at the convenience store) the day after you submit your online application. There is no shipping fee for the start-up kit. They cannot ship the card overseas, but you could apply for the card from your home country using a credit card and have it shipped to the address in Japan where you will be staying (as long as there is someone to sign for it). That way you can be up and running as soon as you get here. Japan Smart SIM has multilingual customer support in English, Vietnamese, Chinese and Japanese through Messenger, WeChat, and email. They also have a great online FAQ page on their site with answers to just about any question you might have about the service. We have already mentioned that the start-up kit will be shipped to you for free and that there is no fee for cancelling the service. JP Mobile will also waive the basic monthly charge for the month in which you apply for the card. For example, if you apply on April 5th, the monthly fee for April will not be charged. 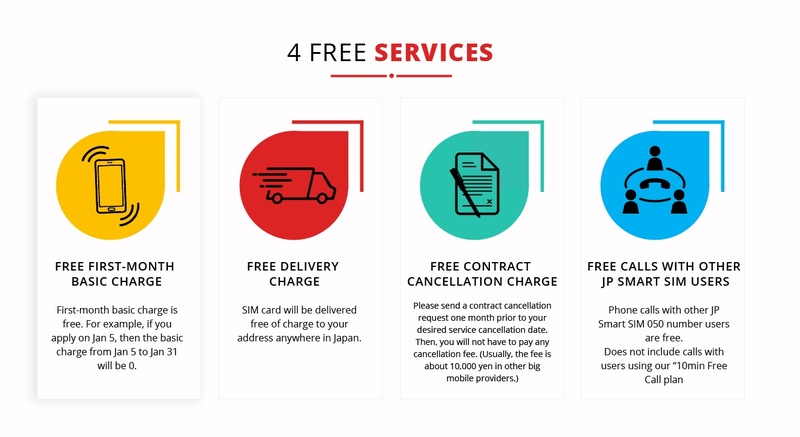 You can also call any other JP Smart SIM number for free! The JP Smart SIM offers very competitive rates for international dialing. For example, it costs 8 yen a minute to call the US, 15 yen per minute to Korea, 6 yen per minute to China, 7.5 yen per minute to Taiwan, and 42 yen a minute to the Phillipines. The JP Smart SIM site has a chart showing rates for other countries. Please visit the JP Smart SIM website for more information about the service and to apply. JP Mobile, the company behind JP Smart SIM, has been in the business of providing mobile telecommunication services since 2004. JP Mobile is looking for partners and agencies that can help us grow sales as part of future market expansion. We hope to recruit other corporations, school officials, real estate agents and others who want to deliver a more enjoyable and comfortable life to foreigners who are staying in Japan. Please contact us if you’re interested!